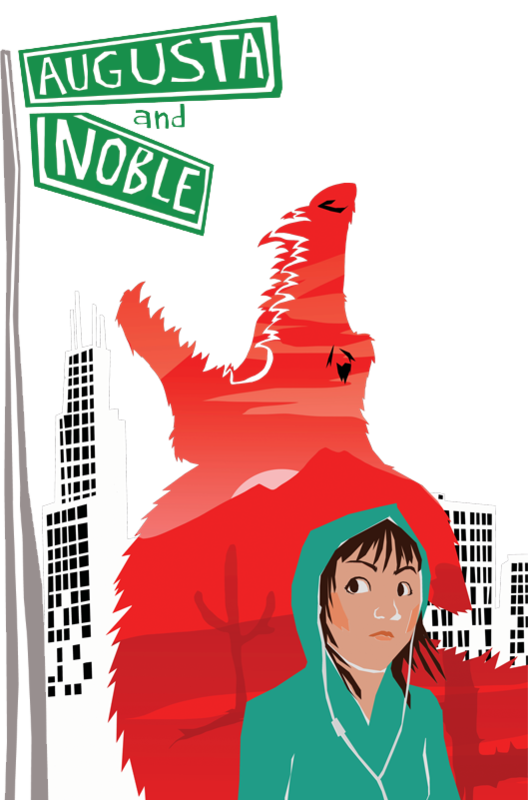 Adventure Stage Chicago uses true stories from West Town neighbors to create its next production, the world premiere of "Augusta and Noble." Gabi has graduated from Peabody School and is starting high school across the city at Northside College Prep. As she encounters new people and possibilities, Gabi begins asking questions about her heritage, including the truth about her parents' journey to America. Get a sneak peek of "Augusta and Noble" during a free open rehearsal at 4pm March 24. Register at 773-342-4141 or visit www.adventurestage.org. Managing Director Scott Letscher will discuss the production at the East Village Association's April 1 meeting, starting at 7pm in Happy Village, 1059 N. Wolcott Ave. The play was first conceived in Summer 2011 story circles conducted with Northwestern University Settlement House neighbors, then developed over 18 months with playwright Carlos Murillo, ensemble members and West Town residents. "Augusta and Noble" will be staged April 13 through May 16 at Augusta and Noble – in the Vittum Theater at 1012 N. Noble St. Adventure Stage Chicago founder Tom Arvetis directs the play. Told in English peppered with Spanish, weekend performances will include Spanish and English supertitles on a screen above the stage. Weekday and preview performances also are scheduled. "Augusta and Noble" is recommended for ages 9 and up. Murillo heads the playwriting program at DePaul University's theater school and a resident playwright at Chicago Dramatists and New Dramatists. This is his first Adventure Stage production. He has received commissions from the Goodman Theatre and Steppenwolf in Chicago, Berkeley Rep in California and Playwrights Horizons and the Public Theater in New York. "Augusta and Noble" is produced with a Doris Duke Charitable Foundation grant. Tickets are $25; $15 for ages 14 and under. Patrons from ZIP codes 60642 and 60622 get a $10 discount. The April 13 opening performance includes a reception with cupcakes from Kyle’s Cupcakery. Call 773-342-4141 or visit www.adventurestage.org.